It is quite possible that there are more printed copies of Harry Potter and the Goblet of Fire than of all other Hugo Award winners put together. 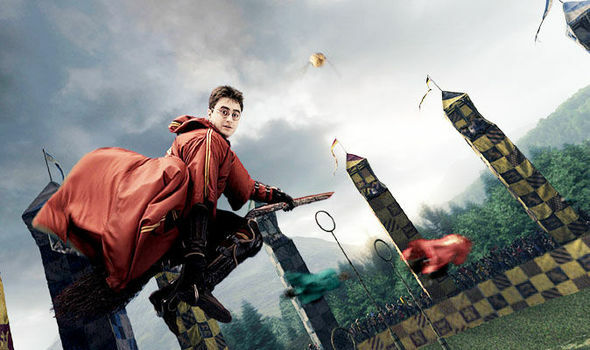 The fourth Harry Potter novel has more than 60 million printed copies, easily quadrupling the number of printed copies of Dune (at twelve million) and ten times the number of American Gods (around a million) and Stranger in a Strange Land (five million) combined. Despite this and the fact that I enjoyed The Goblet Of Fire moderately well, I now wonder with the benefit of hindsight, if awarding the Potter franchise novel the 2001 Hugo Award was a mistake. Certainly, there were other books nominated that year that were more worthy of the Hugo Award. The Goblet of Fire rarely ranks near the top of anyone’s list of Harry Potter novels. As the middle volume of the seven-book series, it lacks the freshness of the early novels and offers none of the narrative resolution of the latter books. What does The Goblet of Fire offer? Almost endless description of a Quiddich tournament. The Goblet of Fire won the Hugo Award in 2001, at the height of Pottermania. There were lineups at bookstores as fans clamored to get the fourth volume of the series. Kids were dressing up as Harry Potter for Halloween. The first Harry Potter movie was expected to hit theatres in November. If Hugo Award voters had the prescience to have recognized (via award or nomination) Harry Potter and the Philosopher’s Stone in 1998, or if the whole series had won upon its conclusion, perhaps it would be more forgivable. But looking at the situation with 15 years of hindsight, it feels like the Hugos were just bandwagon jumping on an established series that was already extraordinarily popular. Can it reasonably be argued that in 2001, the Hugo Award made Harry Potter ‘known to the world’? For almost every other Hugo Award-winning novel, we can definitively say that the award improved the visibility and impact of the book, helping it find new readers. Because publishing numbers are notoriously unreliable, especially for works prior to 1980, we looked at the number of North American libraries with English-language copies in circulation (according to the OCLC database Worldcat.org). This too has gaps and omissions, but represents a fair measure of how in-demand and thus well-remembered a book might be in North America. The 1964 Hugo winner Way Station can be found in 713 libraries, while hardly any other title by Clifford D. Simak has even half that figure. To Your Scattered Bodies Go, which took home the Hugo in 1972 is available in 810 libraries, while most other books by Phillip José Farmer are only represented in about 200 or so libraries each. It’s a pattern that repeats itself as you look at the works of almost every Hugo Award winning novelist whose Hugo-winning novel is not a sequel. Even books by most big-name science fiction and fantasy authors seem to get a boost from the award. get the Retro-Alfie for 2001? Which brings me back to Harry Potter and the Goblet of Fire. At the time of this writing, there are 5131 libraries that provide access to the book. The preceding volume in the series is available at 5210. Harry Potter and the Sorcerer’s Stone? A whopping 5270. The Hugo Award did nothing for Harry Potter. Perhaps that’s why J.K. Rowling was not represented at the awards ceremony, and may not even have ever accepted it. It’s understandable that Hugo voters got swept up in Pottermania, but with the benefit of hindsight, we should also be willing and able to own up to our mistakes. The Hugo Award has currency, and that shouldn’t be devalued by throwing the award to the fad of the moment. The Will (J.) Jenkins (12/26/25-10/3/64) who was on the Worldcon committee in 1953 was not the same Will (F.) Jenkins (6/16/96-6/8/75) who published science fiction as Murray Leinster. You aren't the first to confuse the two. When Leinster was the Guest of Honor at Discon 1 in 1963, the hotel accidentally tried to give his complementary room to the fannish Jenkins who you meant to refer to above. Oh! Thank you for pointing this out to me! I'll edit the post to reflect this bit of information! Do you know where I might find a photo of Will J. Jenkins who was on that committee?